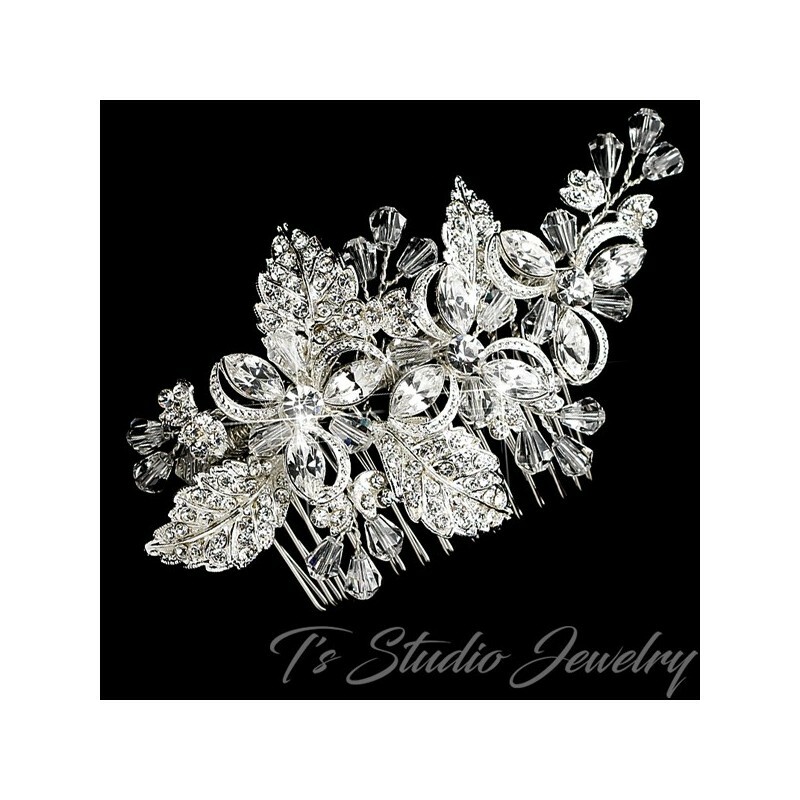 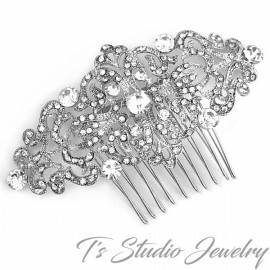 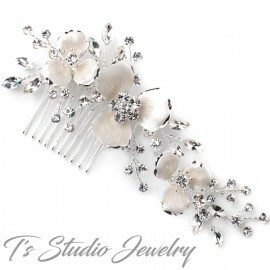 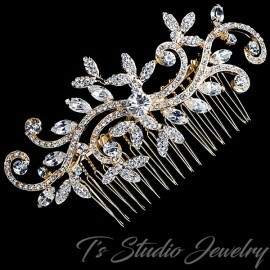 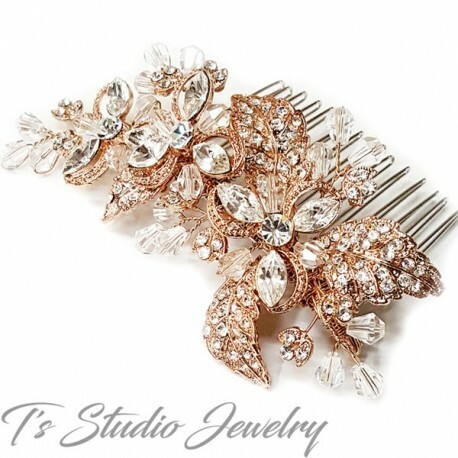 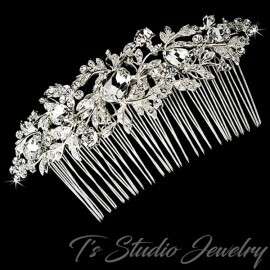 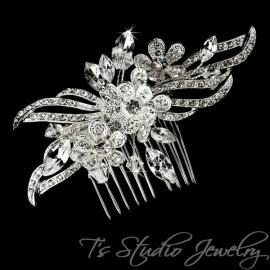 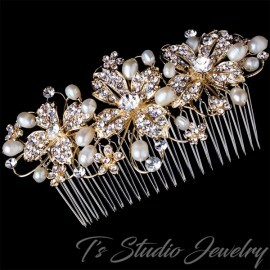 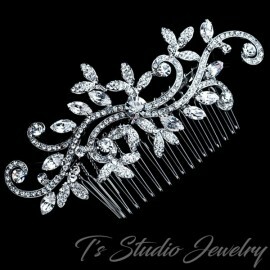 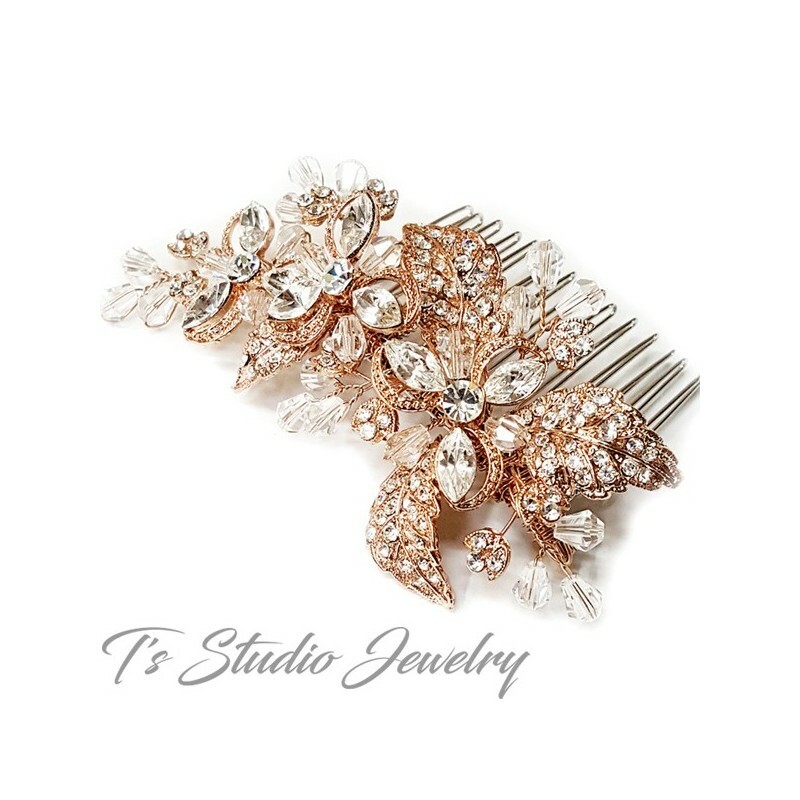 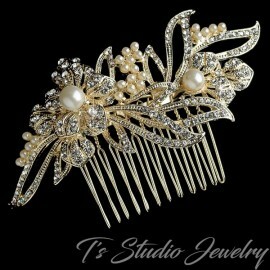 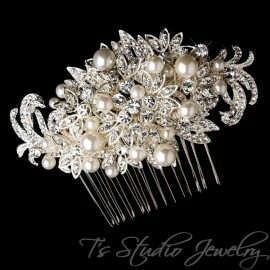 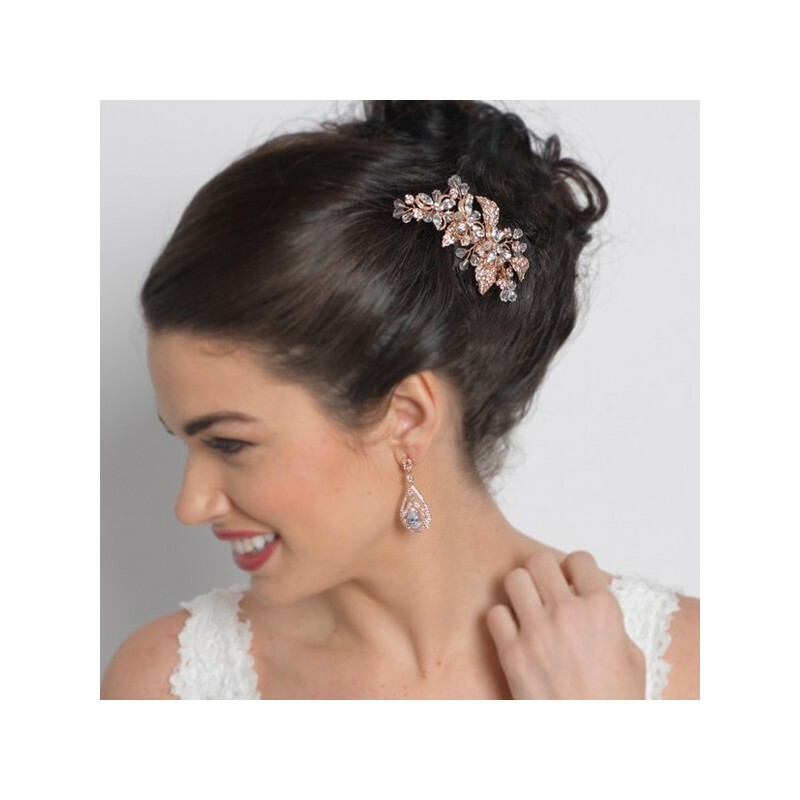 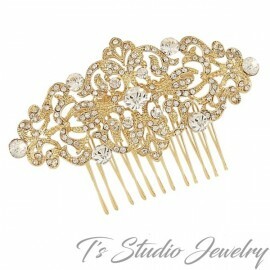 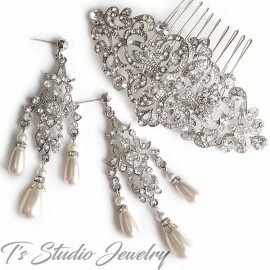 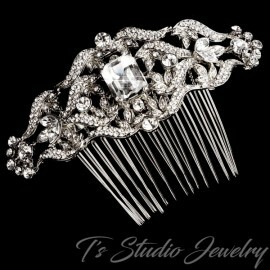 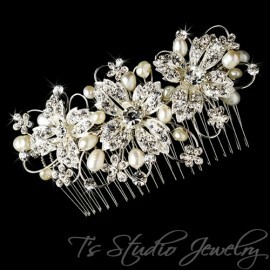 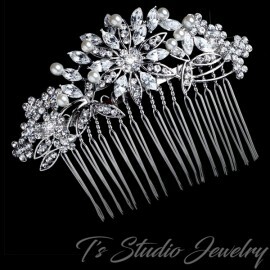 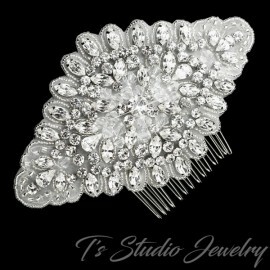 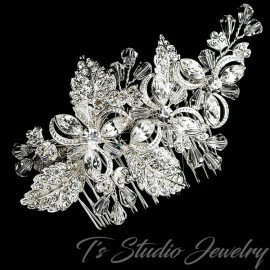 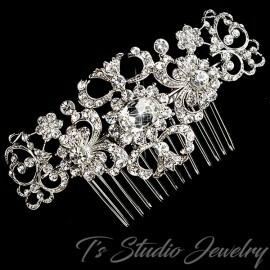 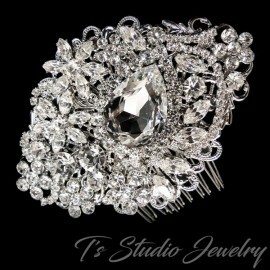 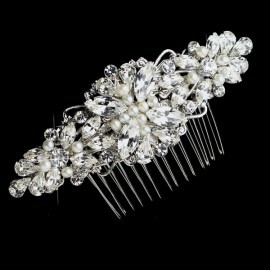 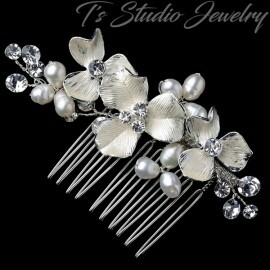 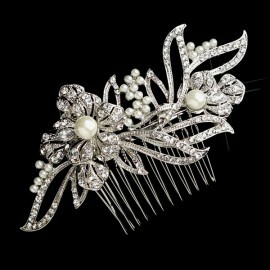 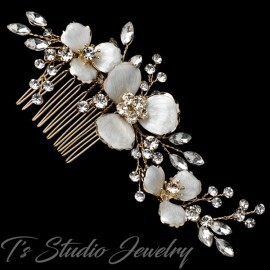 This floral abstract comb sparkles with rhinestone-encrusted rose gold leaf details, geometric rhinestones, and lovely sprays of Swarovski crystals. 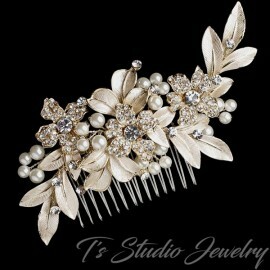 The piece measures 3-1/2" wide and 2" tall. 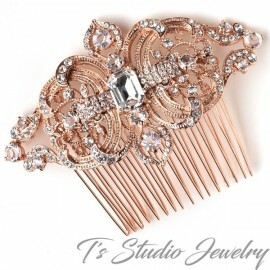 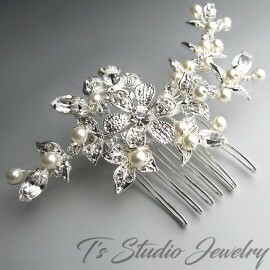 Availble in rose gold or silver.